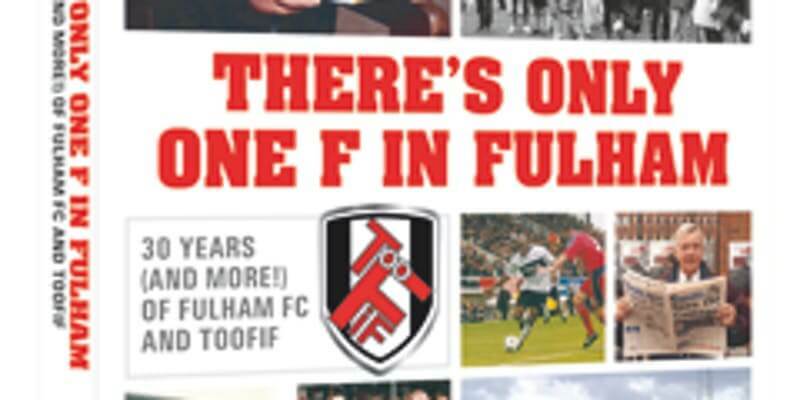 There are just a handful of tickets left for the launch of David Lloyd’s ‘There’s Only One F in Fulham – 30 years (and more) of Fulham FC and TOOFIF’ book on Wednesday 14 November at the Duke’s Head in Putney. As well as your first chance to buy the book, there will be a Q&A with David and a panel of special guests from on and off the pitch to talk all things TOOFIF, Fulham and Craven Cottage. You can also order the book in advance (at a reduced price) when booking your place at this special event, to pick up on the night. Taking place at the famous Duke’s Head in Putney, your ticket includes a hot and cold buffet and the bar will be well-stocked for the night. This is an all ticket fixture – come along to enjoy a night of all things Fulham FC, celebrate 30 years of TOOFIF and pick up an early Christmas present for that special Fulham fan in your life – numbers are limited, so book now to secure your place. You can book your ticket via the Eventbrite link and order the book via the TOOFIF website.